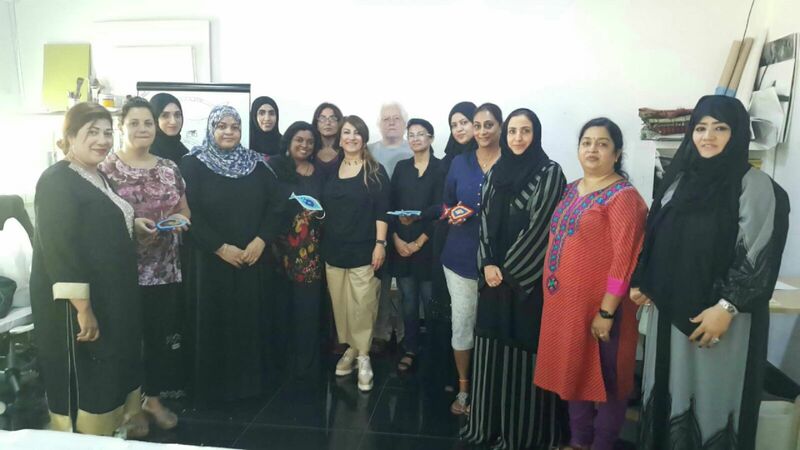 Yet another successful mosaic workshop held at Muscarts, Oman by Faiza Saeed. Ceramics came to life in this one day course. It explained the basic principles of the craftsmanship that is mosaic making. All the participants succeeded in creating one small piece of art and worked to create their own tabletops, wall hangings, decorative ornaments and artworks. The possibilities were endless! Faiza herself guided them through the steps with a special focus on using pieces of glass, ceramic and different tools and techniques. A great big thanks goes to all the participants who shared their creativity with Faiza, and another big thanks to Muscarts for investing their time and effort into making this workshop a memorable experience.